One of the worst offenders is headquartered in downtown San Francisco, in a lofty tower stuffed full of headset-wearing marketing people and "engineers" tucked in with a splattering of corporate motivational posters. The corporation for which these lipsticked pigs work does not produce anything tangible; it does not have any saleable inventory. This corporation didn't invent anything noteworthy; nor does it hold any significant patents. It doesn't contribute anything of appreciable value to its customers. 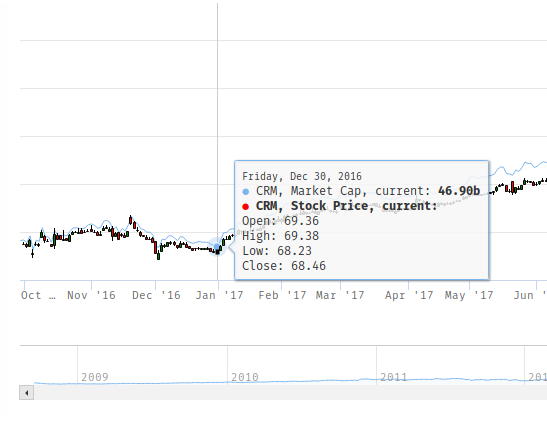 If, on December 30, 2016, you'd looked at the income statement of this corporation, you'd wonder how on Earth did it get to a 46.9 Billion dollar market cap? (Yes, that is billion with a "B"; 46 billion +900 million). You'd be baffled, and perhaps dig a bit into the balance sheet and quarterlies. In them, you would discover what are factually negative GAAP Earnings-Per-Share (EPS) for all seven out of seven of the last seven years since it IPO'd (2009 - 2016). In fact, you'd see a company that has largely been inventing its own "earnings" and selling those fake numbers to shareholders. The numbers which do not adhere to any accounting standards, they say, are an indication of their "growth". Growing what, exactly? You'd see a company with vague business model and poor-to-mediocre digital products haphazardly glued together with wads and wads of cold and limp spaghetti. You might try a few random searches to see what the big deal is... how has this company managed to stay in business? What are they selling, exactly? 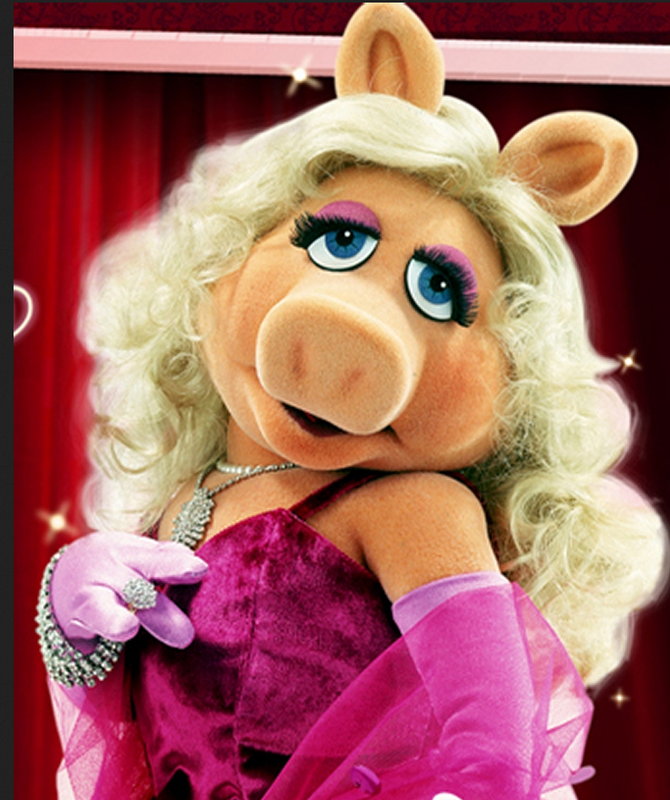 What you'd discover instead of answers is droves and droves of pigs: pigs that are singing and tap-dancing incessantly about the cold spaghetti. There are literally thousands of troll accounts on social media sites, all of them incessantly praising this company. You might wonder what the hell was going on. How does a company that can't explain what it does in one clear sentence have so many fanboys? And why are there so many tactics being used to promote Salesforce so similar to what we saw with the Russian troll farm accounts used to steal our elections? Then maybe you'd decide to take a listen to a conference call hosted by the chief pig himself -- Marc Benioff. Just one listen and it becomes clear that this is company is nothing more than spew of mouthful after mouthful of slobbering and regurgitated pie-in-the-sky lies. Benioff & Co. assault the listener with an irrational barrage of buzzwords about digital apps, the "cloud" growth, customer-facing solutions and blah, blah blah. The detachment from reality is quite alarming. For any real software engineer, it's too much to swallow. Real hackers know that you CANNOT scale customized spaghetti. Adding more spaghetti on top of others' forgotten and moldy spaghetti doesn't make the spaghetti any more efficient. Benioff's delusions about growth have zero substance, like marshmallow fluff whipped up with green olive baloney puked on top of that cold spaghetti. Are you getting sick yet? If not, you should be. This is not right. These days, society is so well-acquainted with delusional men that it lets them get away with way more than it should. Sometimes society even likes to encourage them by lapping up their vomit. Fast forward to today. A mere 21 months later, and that Salesforce vomit is now being "valued" by shareholders at an astounding 115.58 billion dollar market cap. It has increased in value by 69.5 Billion dollars in only 21 months. Let me spell that out for you. 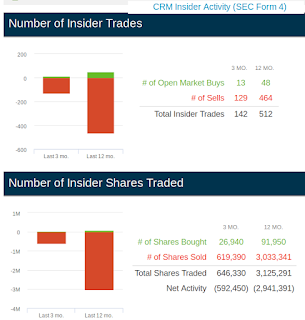 The ACCOUNTING FRAUD at SALESFORCE has stolen over 115 billion, 580 million from investors who believed the fake numbers Benioff and Co have been selling as "real" GAAP numbers! For some other perspective, consider the breakdown of what the best analysts on Wall Street make out in difference between "small" cap and "large" cap stock. The journey between a small and large cap ($10B of value) is long and arduous, and here is key: It takes a long time. It takes a long time of solid earnings that produce positive EPS, not on the back of "bridge loans" for billions and other shady deals derived from other co-conspirators who profit from borrowed money inflated like a blimp. 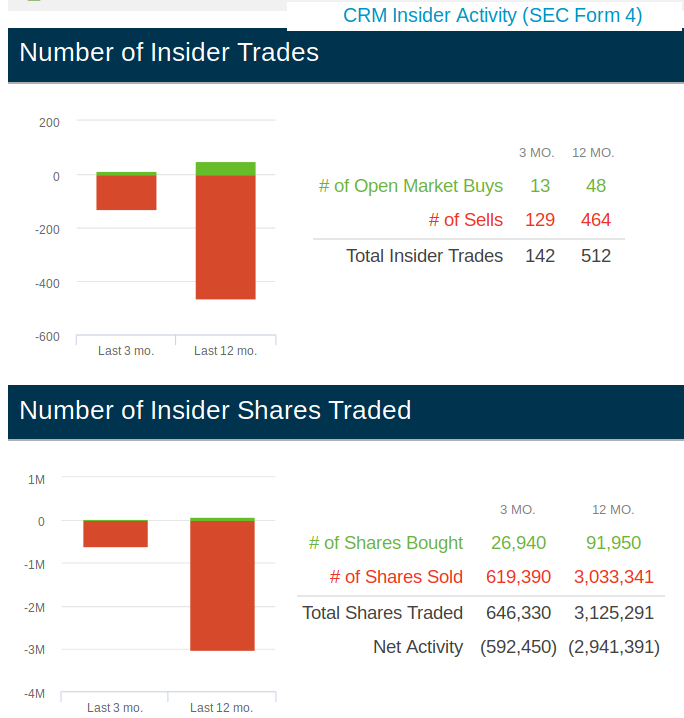 What this means is that when the fraud and corrupt accounting practices are exposed, all of the Salesforce "insiders" will have effectively stolen over 100 billion dollars. It's being reported that Benioff is going to buy Time Magazine with his booty. This ALSO means Marc Benioff's attempt to acquire TIME Magazine for $190M is being done with Unlawful Proceeds from Stock Sale! It's easier to fake the short-term than it is the long term. 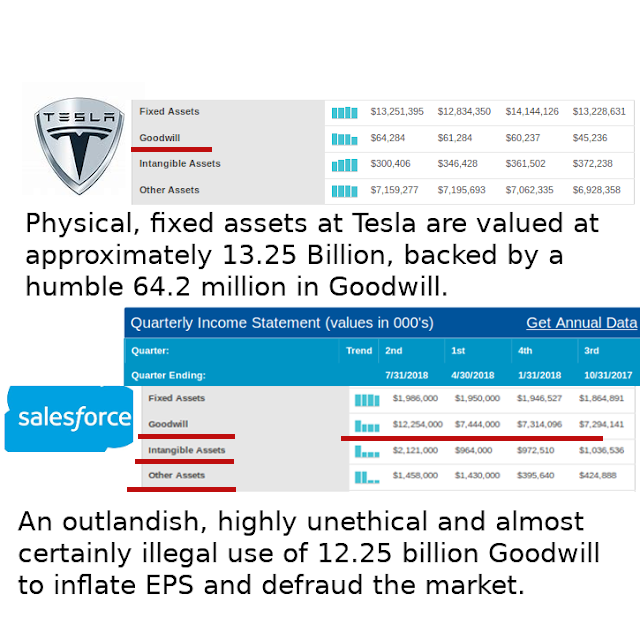 Egregious balance sheet manipulation -- Even Tesla, which everybody knows is maybe probably prematurely overvalued, doesn't try to defraud people with fake Goodwill or "Intangible" assets. Factual GAAP accounting numbers are being suppressed, and instead the salesmen direct investors to the fraudulent and manipulated non-GAAP earnings they repeat ad nauseum. Since most of what Salesforce can claim as its revenue comes from unenforcable "contracts" (prepay forward contracts are fully refundable by law!) and which it has not yet delivered (and for which no real engineers will work), it has been emulating tactics used by ENRON insiders to mislead investors about growth. 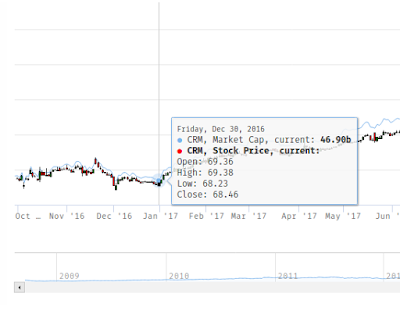 Like ENRON, Salesforce has a fishy credit rating with one of its most intimate bed mates, including Merril Lynch, the company that fronted $3 billion of the $6.5 billion acquisition cost for Mulesoft. You shouldn't need a CPA's wardrobe to catch this kind of crime. It's wrong on every level: it diverts dollars from investment in truly worthy companies, for one. It enables sleazebags like Benioff to cash out hundreds of millions of dollars, for two. It makes places like San Francisco even worse than it already is. PLEASE write to the SEC and tell them time to start jailing criminals like Marc Benioff and Keith Block; this kind of fraud will ruin America; criminals and enablers doing this stuff on purpose need to be locked up and throw away the key. Why I'm a boat rocker.